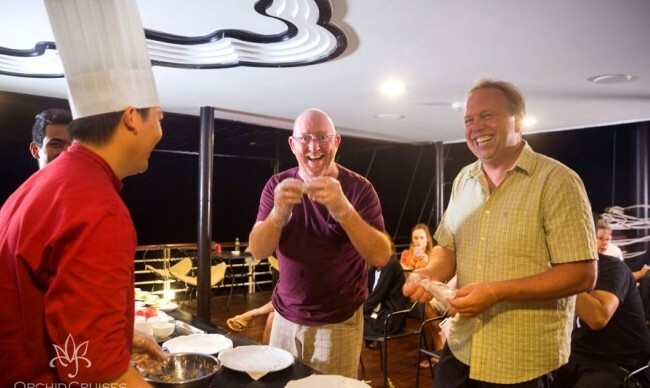 The cruise was fabulous and we are very happy with the experience both on the cruise and your service with booking. 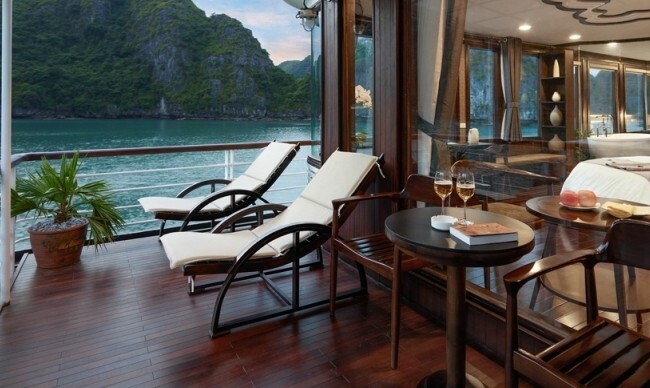 All cabins are well designed with full large windows open to the sea and even you could enjoy your own Halong Bay - Bai Tu Long Bay - Lan Ha Bay from your private balconies which bring you the unforgettable memory of our legend bays. 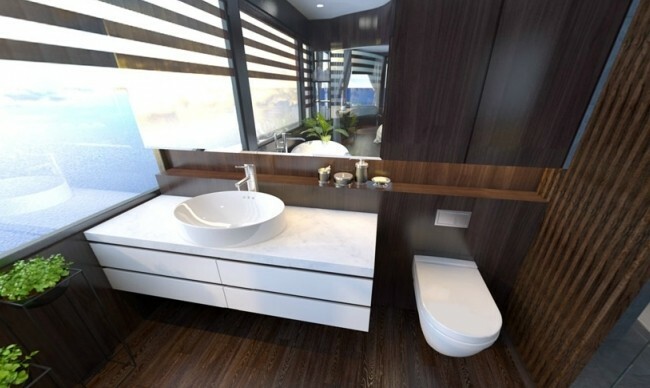 These beautiful points of cabins are fit in the large cabins size with 36 square meters. 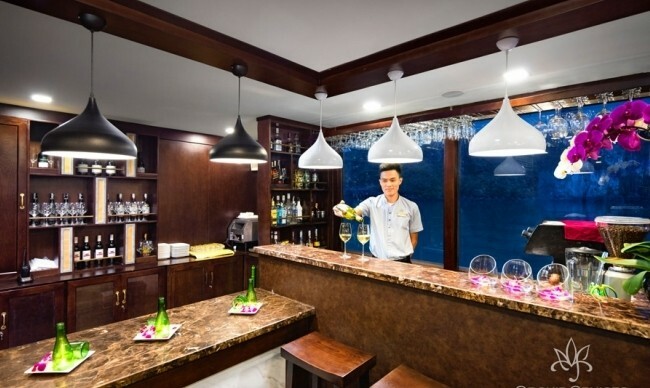 Western style is the highlight of these cabins withe LED TV and facilities. 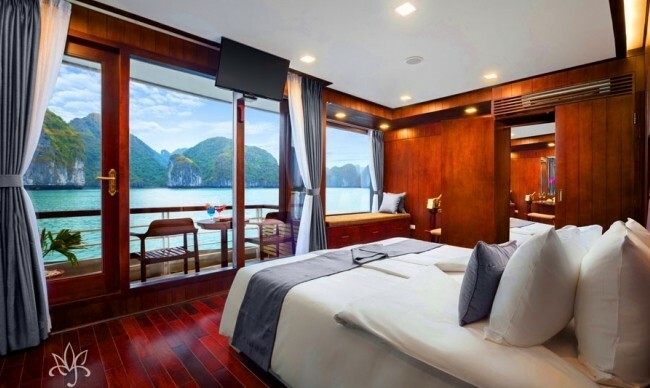 Family Deluxe Ocean View Cabins are the connecting door cabins with 01 double Ocean View cabin and 01 Twin Ocean View Cabin. 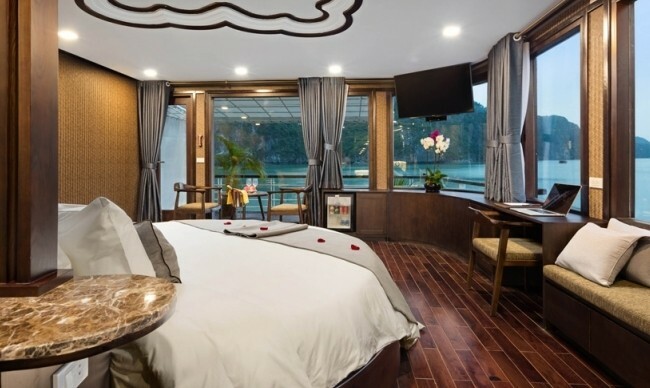 All cabins are well designed with full large windows open to the sea and even you could enjoy your own Halong Bay - Bai Tu Long Bay - Lan Ha Bay from your private balconies which bring you the unforgettable memory of our legend bays. 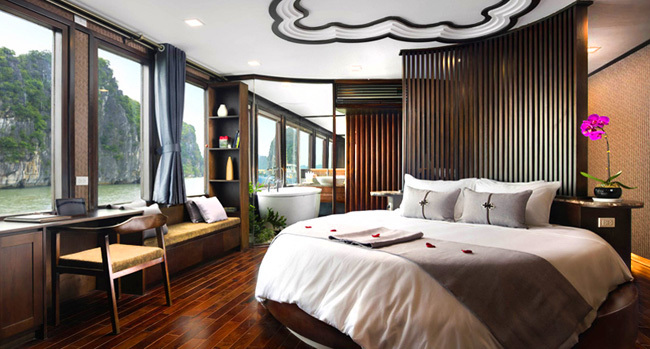 These beautiful points of cabins are fit in the large cabins size with 72 square meters. 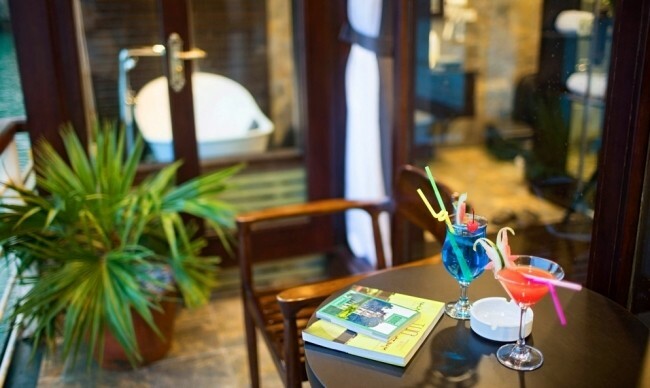 Western style is the highlight of these cabins with LED TV and well-equipped facilities. 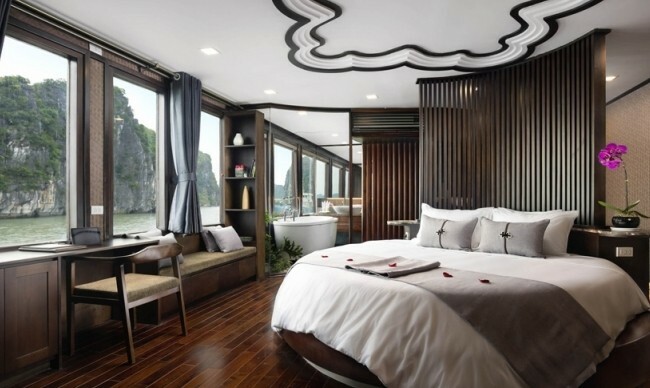 Situated on the second floor with more beautiful ocean view of Ha long Bay - Lan Ha Bay - Bai Tu Long Bay, all of Premium Ocean View cabins are well designed with large windows open to the sea and even you could enjoy your own Halong Bay - Bai Tu Long Bay - Lan Ha Bay from your private balconies which bring you the unforgettable memory of our legend bays. 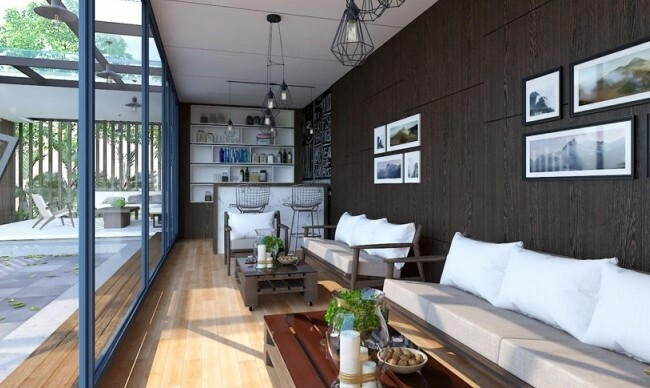 These beautiful points of cabins are fit in the large cabins size with 36 square meters. 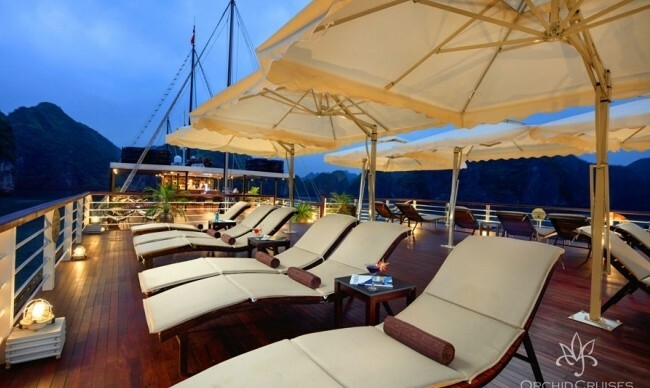 Western style is the highlight of these cabins with LED TV and well-equipped facilities. 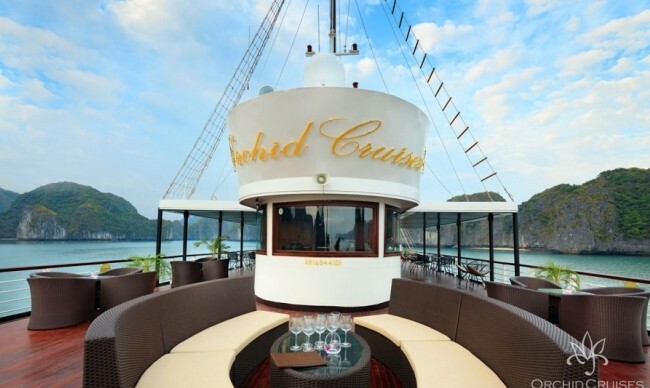 Orchid Exclusive Ocean View Cabin are located on the second floor and these cabins are the most luxury cabins of Orchid Cruises Line with private jaccuzi, secluded bar in cabin, it has largest size on board as 45 square meters, private sun lounge chairs at the private balcony. 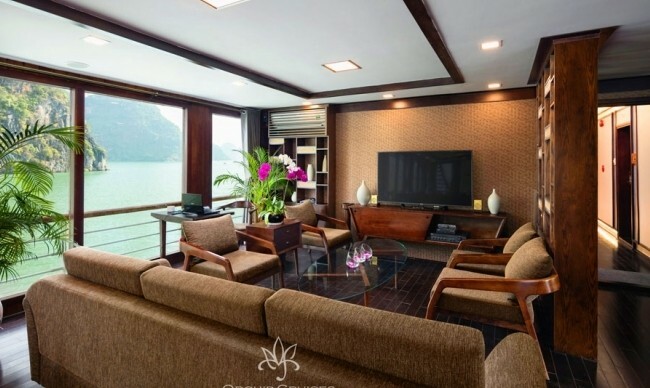 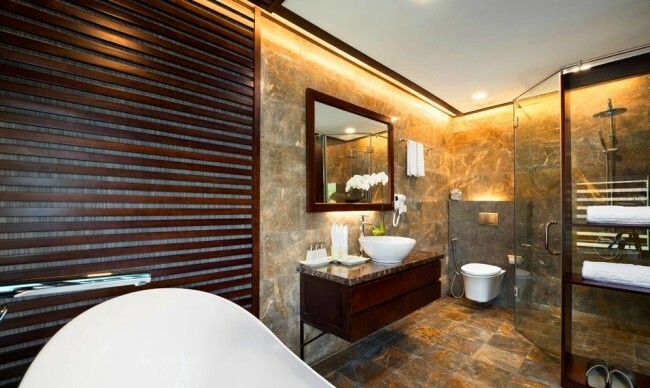 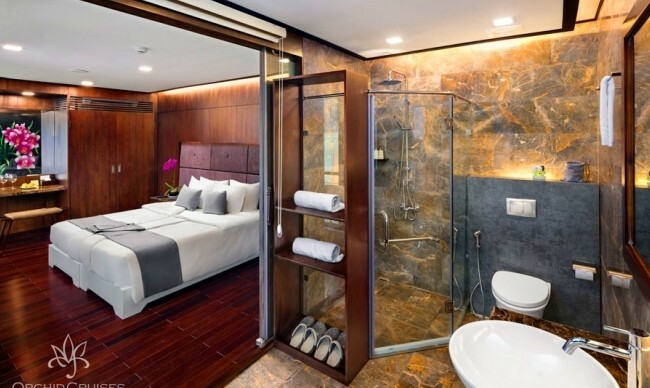 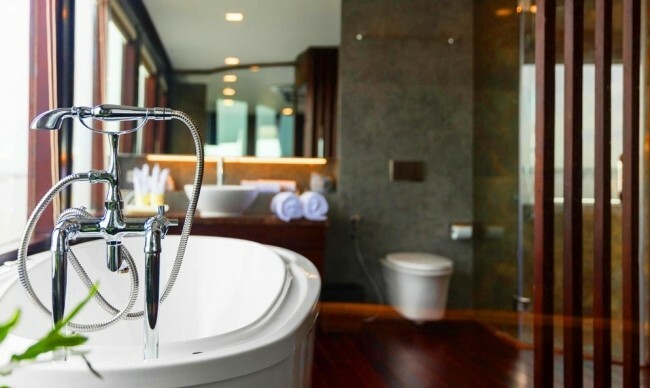 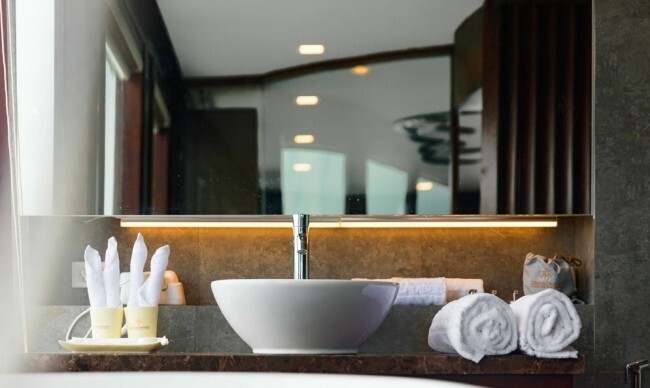 Besides that, Orchid Exclusive Ocean View Cabins are well designed with full large windows open to the sea and even you could enjoy your own Halong Bay - Bai Tu Long Bay - Lan Ha Bay from your private balconies which bring you the unforgettable memory of our legend bays. 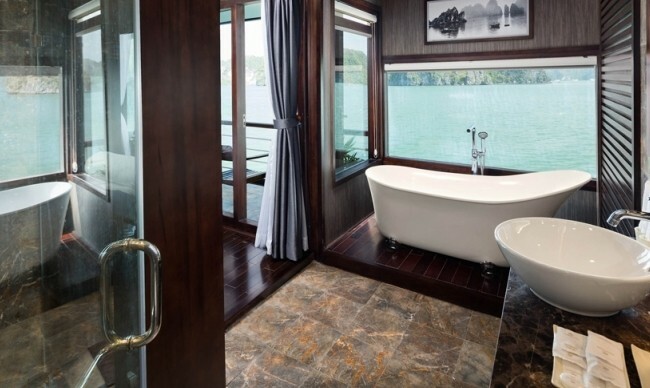 These beautiful points of cabins are fit in the large cabins size with 45 square meters. 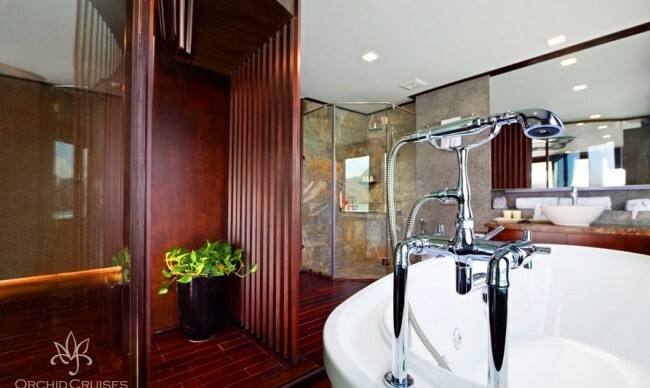 Western style is the highlight of these cabins with LED TV and well-equipped facilities. 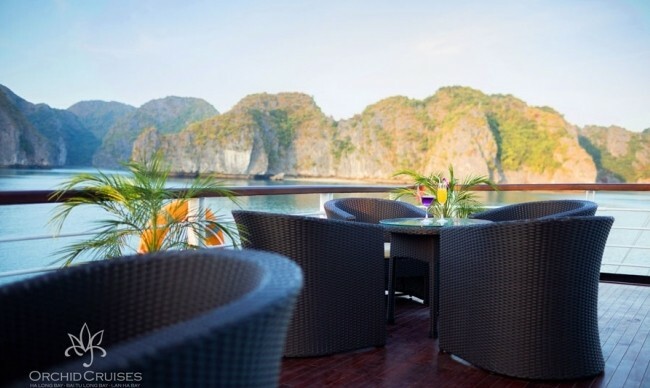 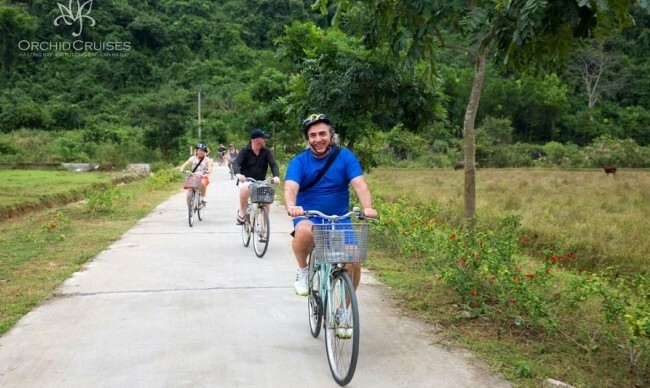 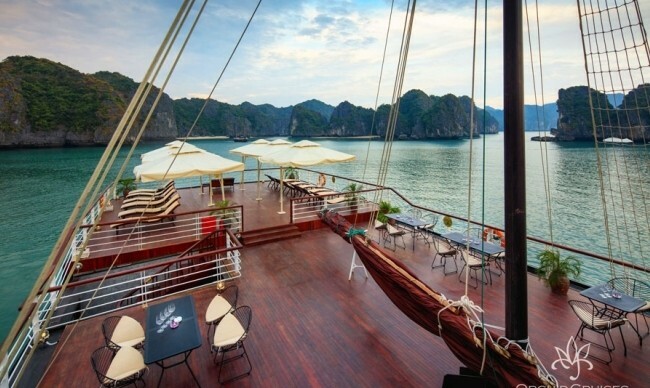 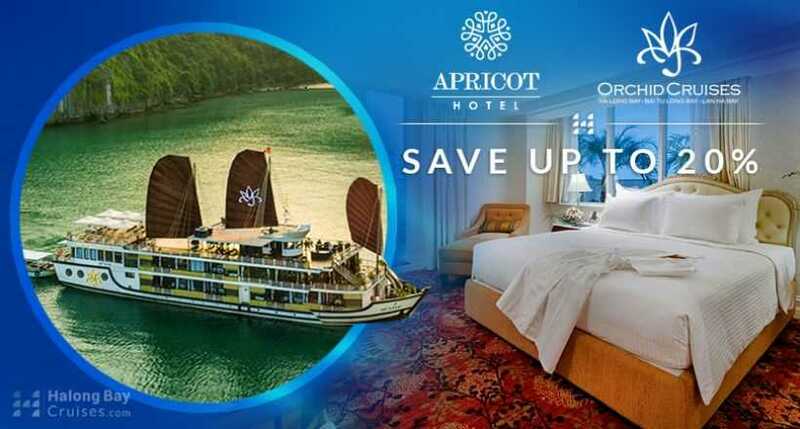 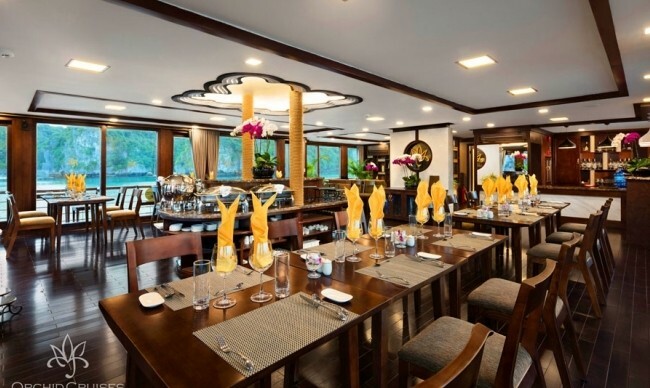 Orchid Cruise is one of the best luxury 5* cruises in Halong which is also the first cruise company that organized the cruise throughout Halong Bay – Lan Ha Bay with the most highlight of this beautiful and wild route. 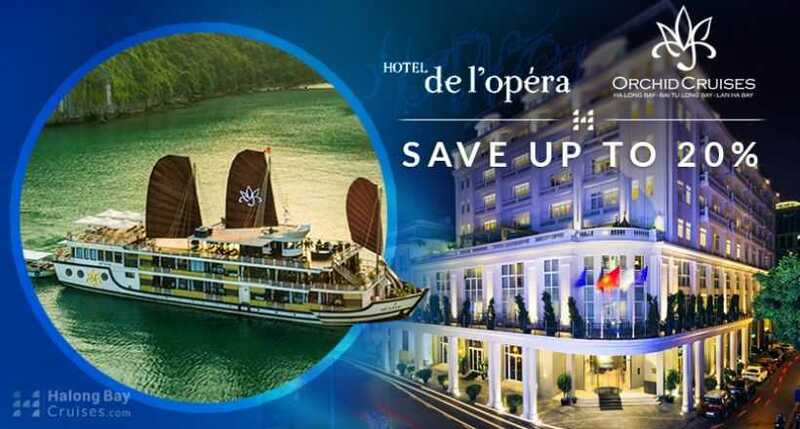 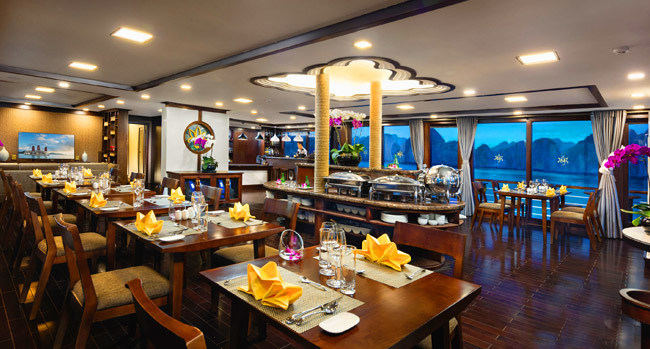 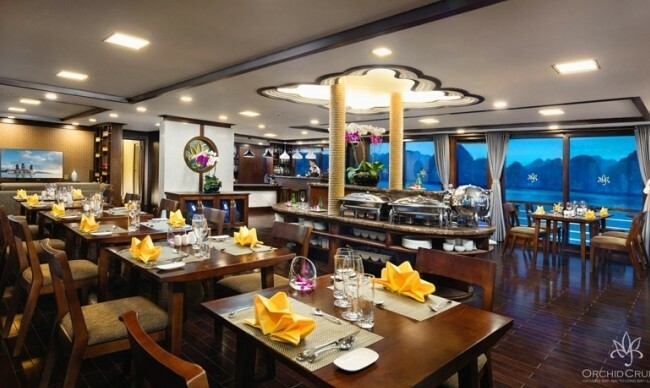 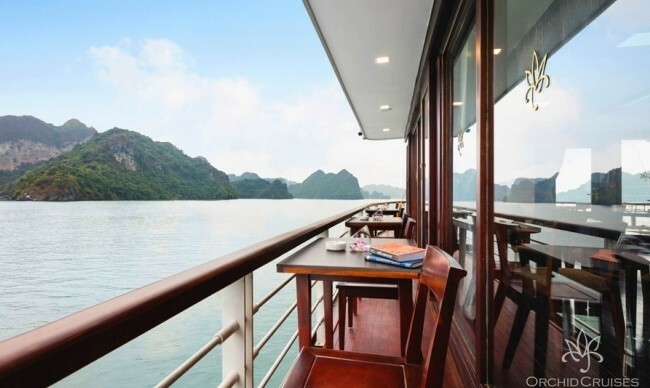 Orchid Cruise with the highest level of ship’s friendship environment and finest cruises will exceed your highest expectation about Halong Bay cruises. 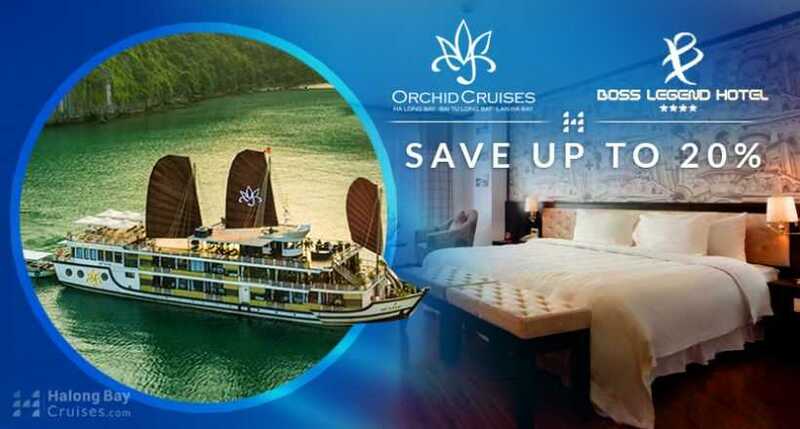 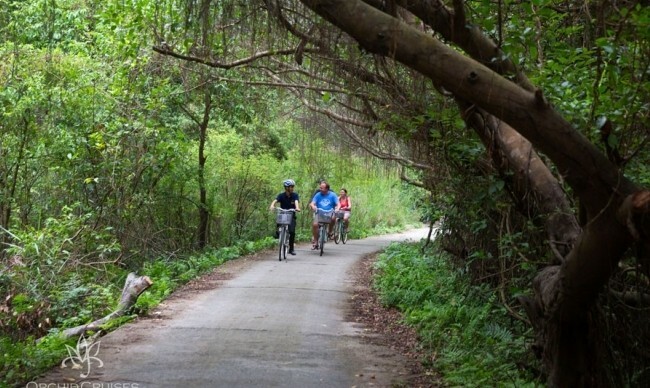 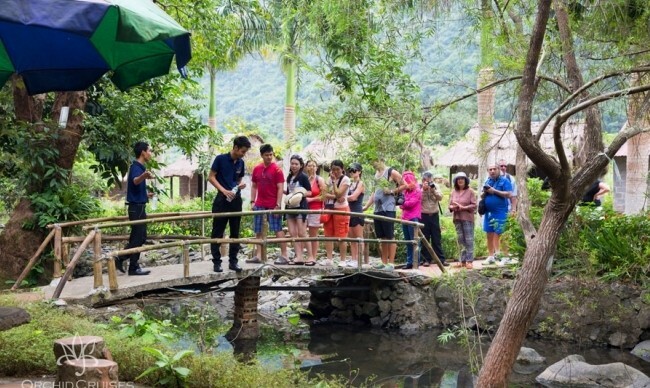 Exploring this World Heritage Site with Orchid Cruise, you absolutely have chance to discover untouched area with less travelled route which other cruises could not offer you. 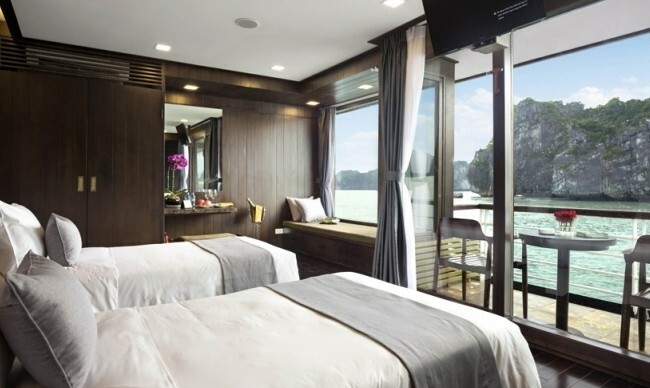 The cruise has 14 the most luxury cabins with the professional crew that will provide you the best service when you are on board. 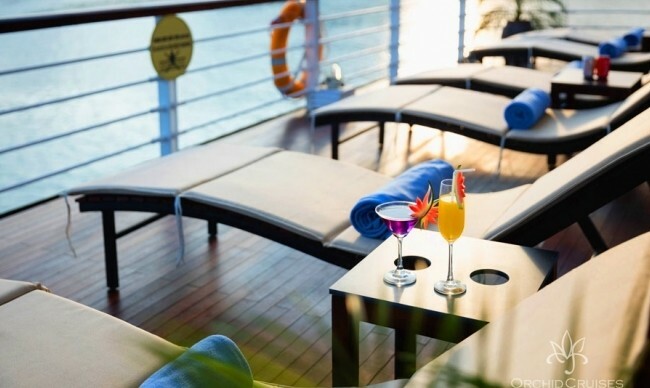 Sundeck is a favorite amongst our guests and features our bar area. 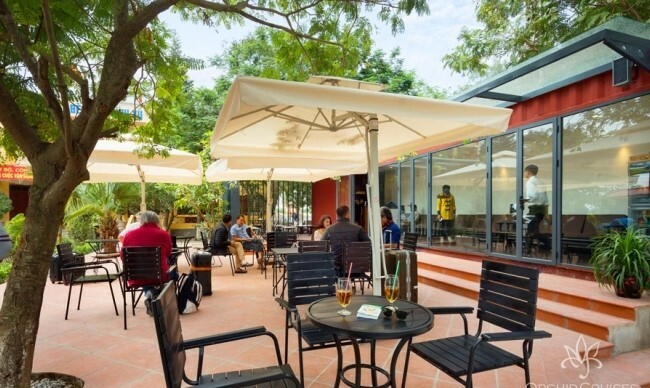 The space is 500 meters and hosts up to sun lounges and areas shaded by umbrellas. 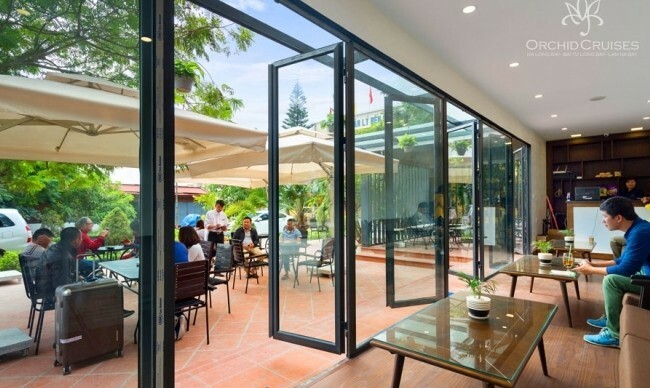 This charming garden is at your disposal anytime on the night or day and is the perfect place to watch the wonders unfold around you, enjoy a book or a drink or just relax and sunbath. 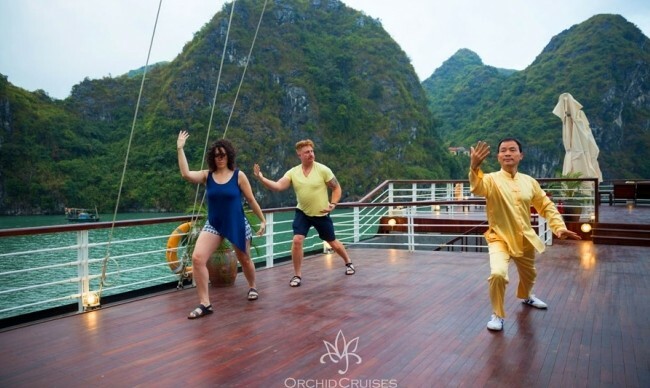 Morning Tai Chi classes are held there. 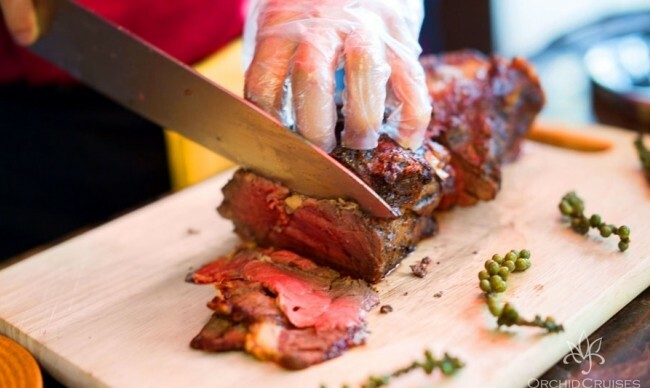 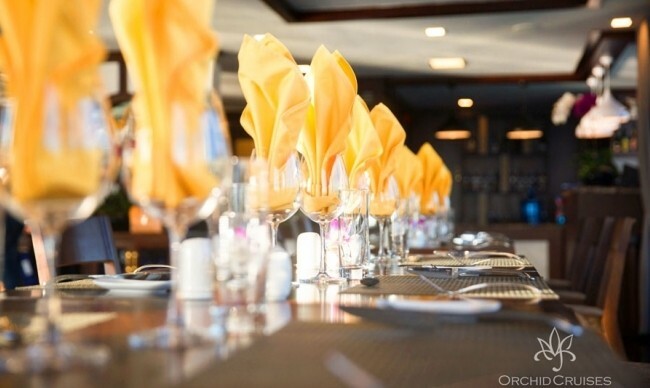 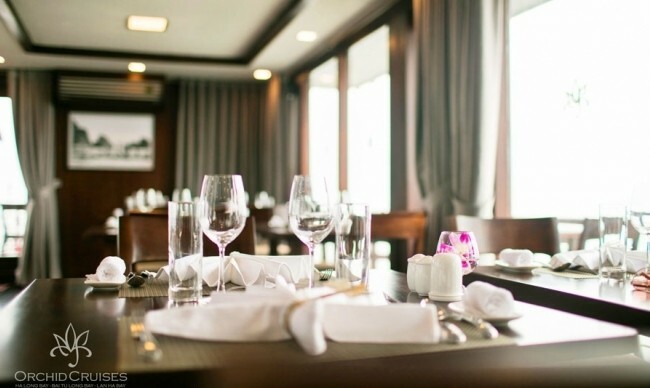 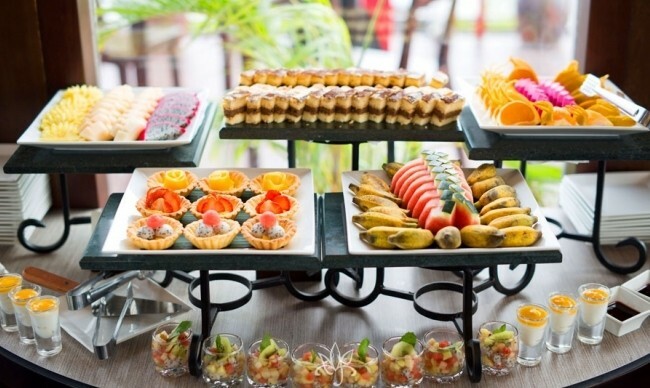 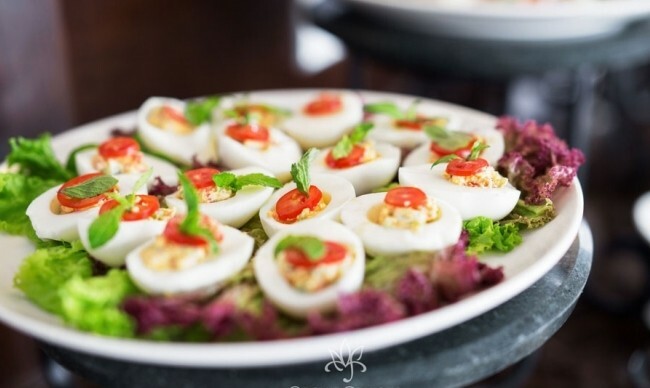 Located on the second floor, the restaurant and bar offer the perfect spaces for guests to connect with their surroundings while savoring an incredible array of fresh dishes or simply relaxing with a drink. 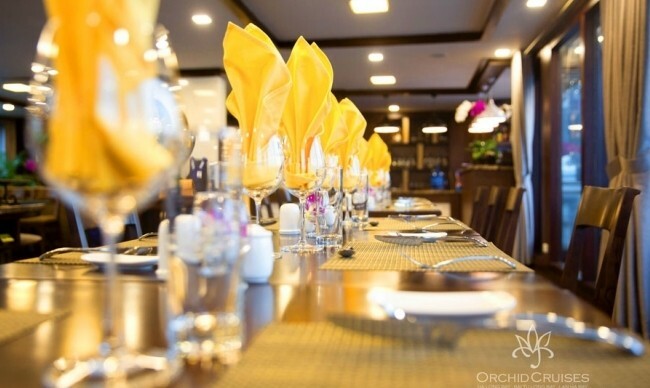 While designed in very different style, both the restaurant and bar have been created to ensure the ultimate in comfort, luxury and stylish. 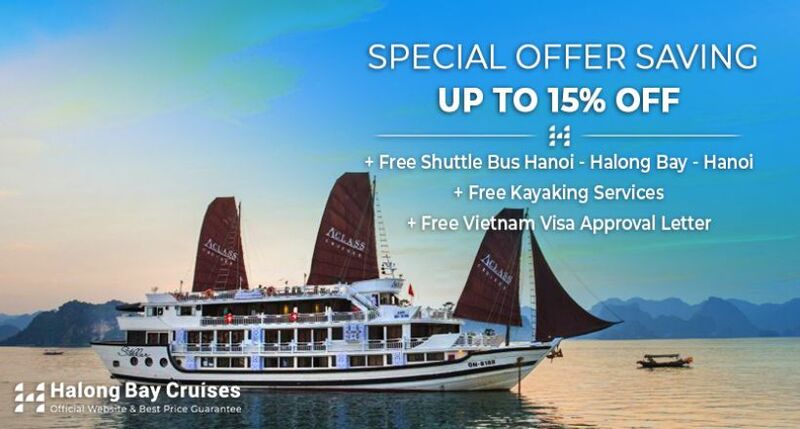 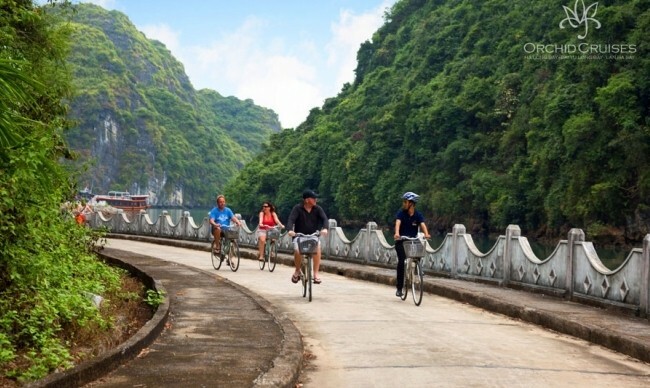 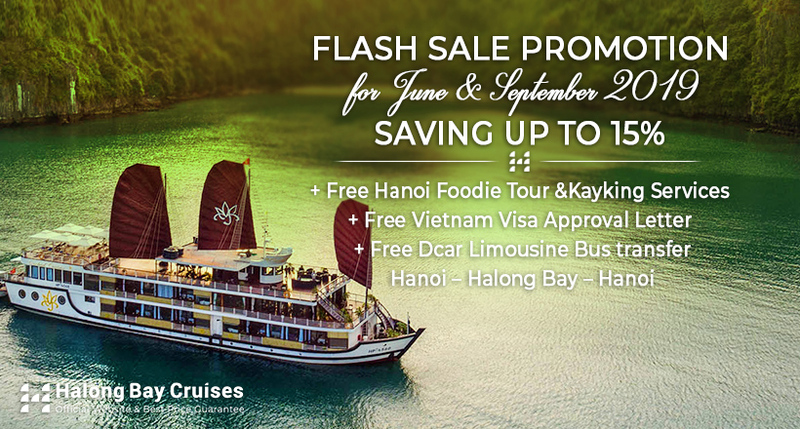 We want you to have an unforgettable cruise in Lan Ha Bay – Ha Long Bay – Bai Tu Long Bay. 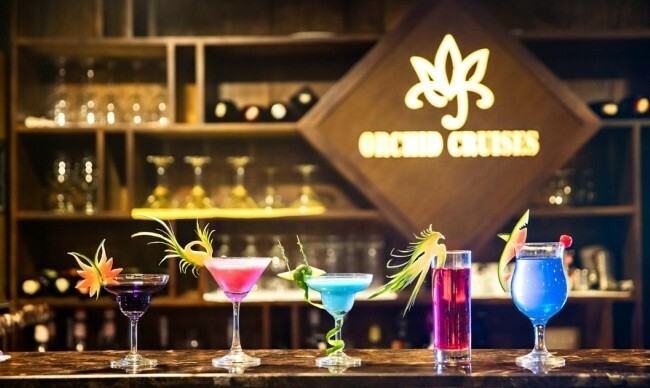 Orchid Cruises are guaranteed for the best safety level based on the higher level of the local authority on board and the most safety cruises line ever to the passengers. 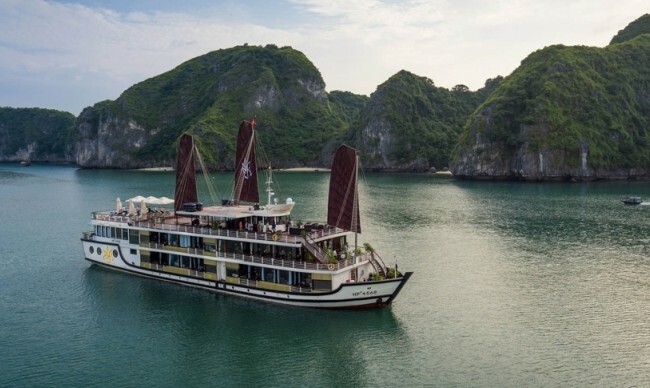 The fleet’s vessel updated newest and best safety equipment to cruise in all sea and weather conditions: sonars and radars, engines’ control and fire detection will prevent any sort of possible damage on the boats. 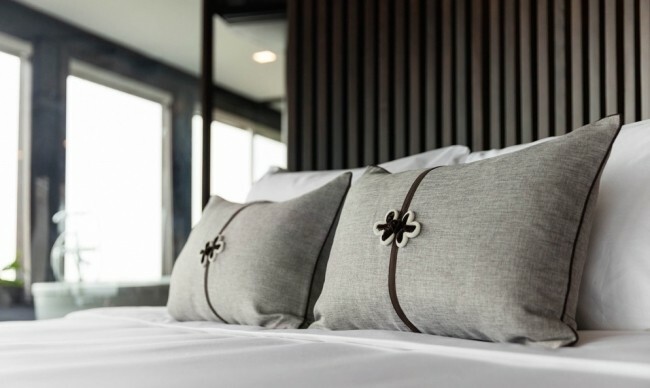 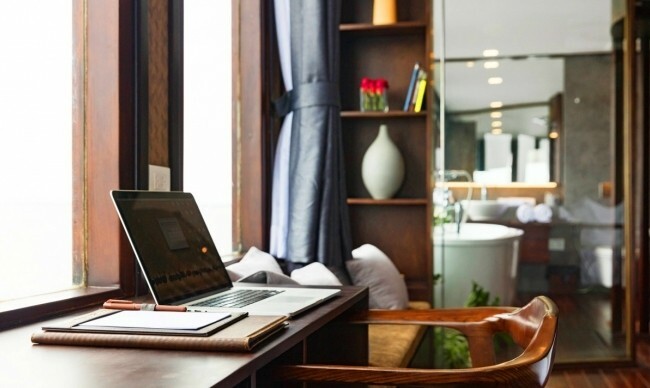 All of cabins will be equipped with alarm devices linked to a central monitoring system, smoke sensors and fire extinguishers, hydrants and hoses, life jacket and clear emergency instructions. 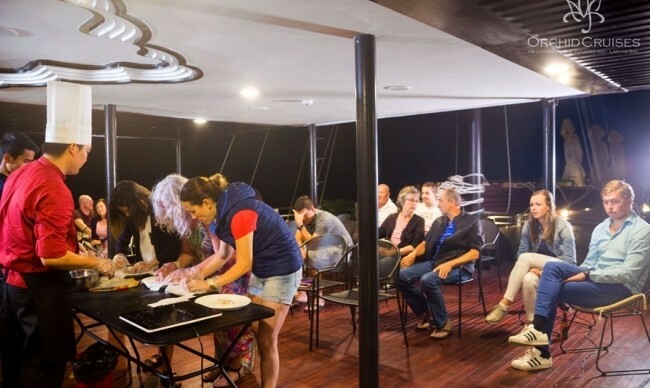 Local and international crew will be well trained to implement clear safety processes, while a speed boat’s fleet will be ready 24/24 to operate emergency rescue. 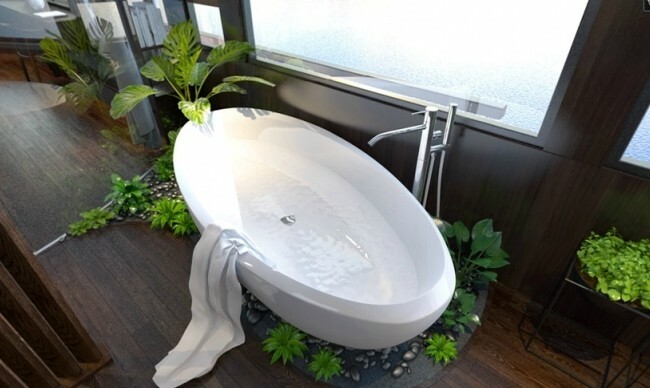 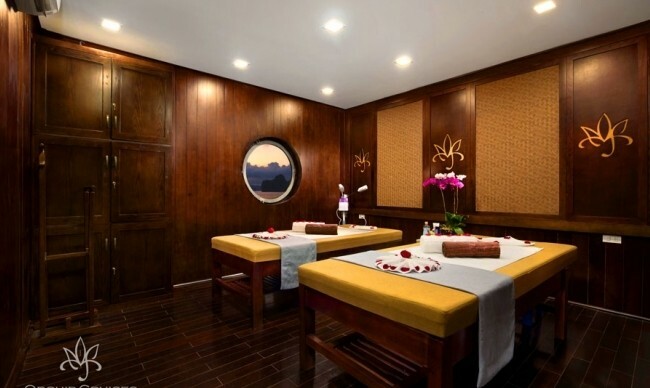 Orchid Cruises have well designed cabin for Spa and massage service. 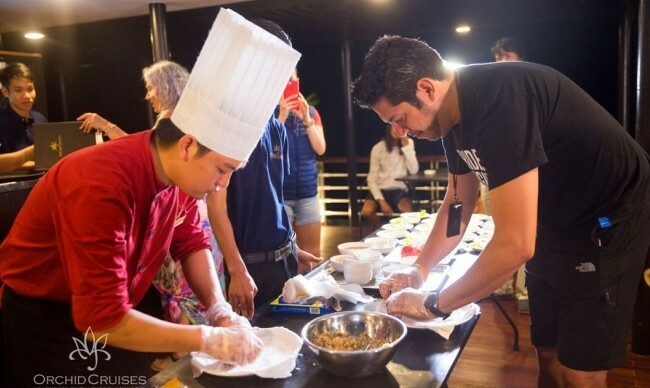 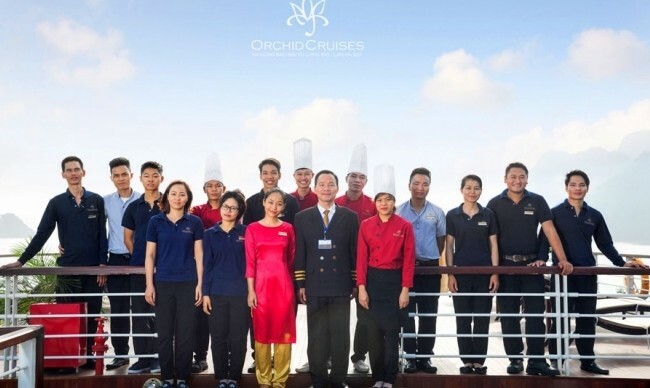 Our well trained, enthusiastic, friendly and professional staffs, with modern and top quality of Spa and massage service will make you feel so relaxing, comfortable on the excellent cruises off Orchid Cruises Line. 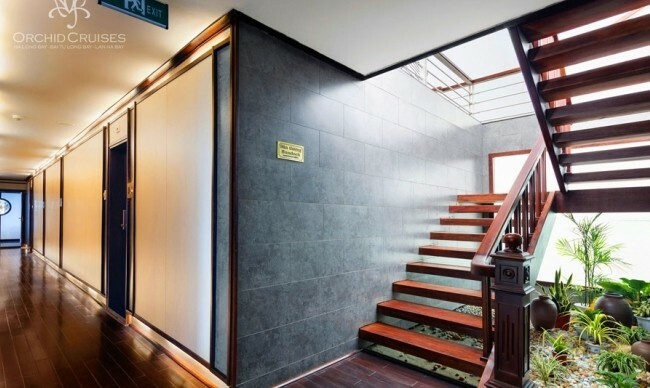 Spa and Massage Room is located on the first floor. 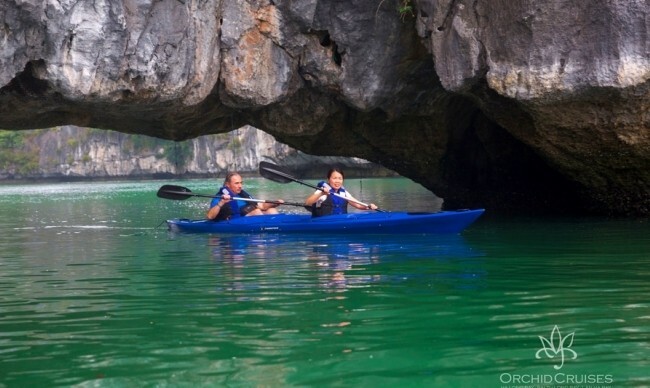 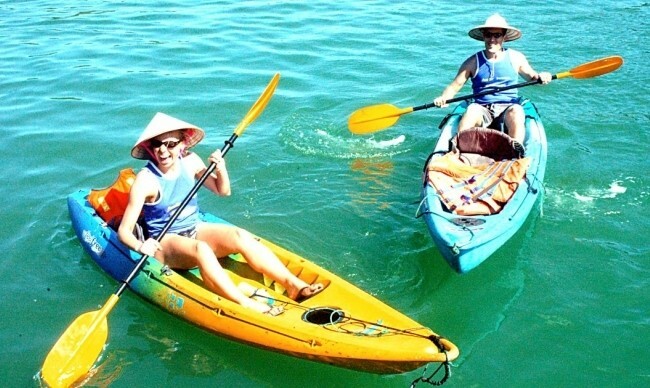 Orchid Cruises are one of the few cruises in Ha Long Bay could offer to passengers the excellent gym room with fully equipment. 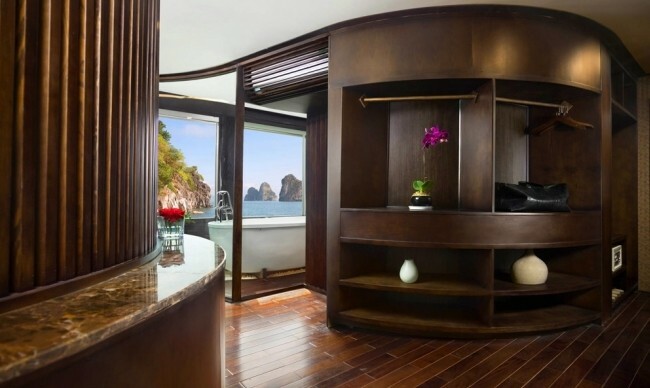 You could find out your fitness with our gym room in the legendary bays as Lan Ha Bay – Ha Long Bay – Bai Tu Long Bay. 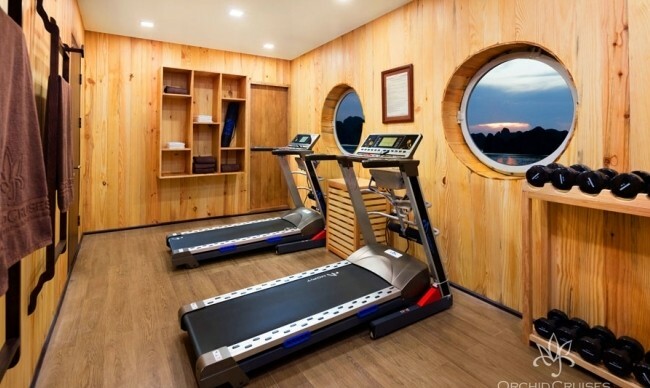 Situated on the first floor, after a long day of many activities on board or just to begin the new day in gym rooms is the best choice for passengers who love gym. 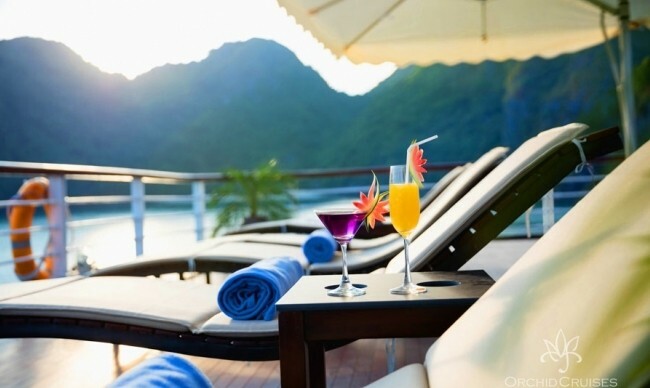 Imagined that you are still watching the nice view of legend bays while you are in gym room to keep your fitness. 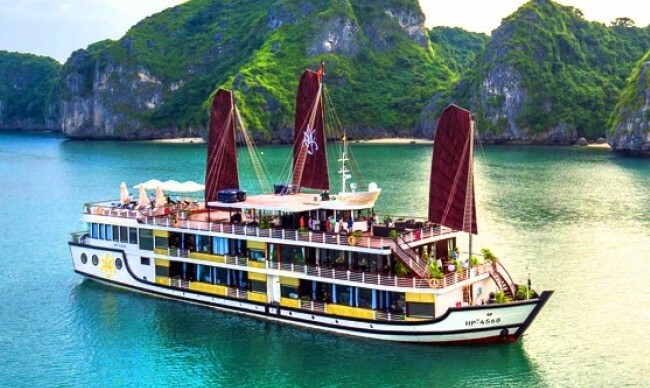 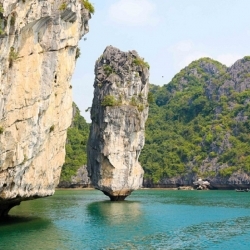 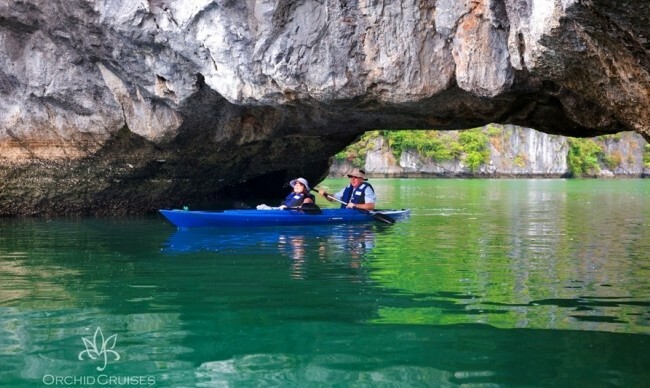 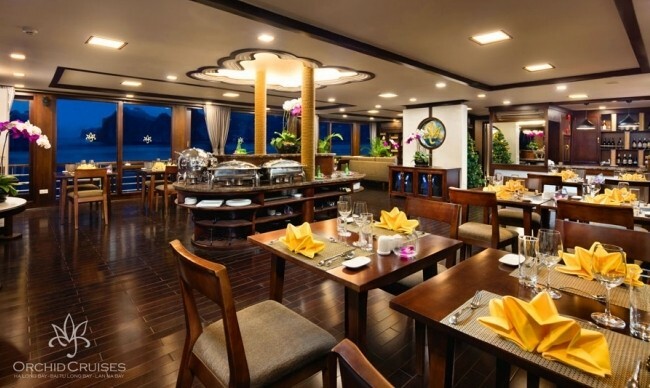 It is just beautiful Orchid Cruises in Lan Ha Bay – Ha Long Bay – Bai Tu Long Bay. 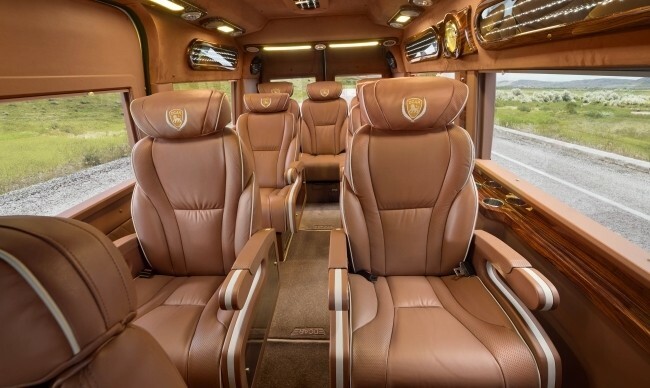 The car is designed sophisticatedly with the details be made elaborate and meticulous, bring comfortable and most personal. 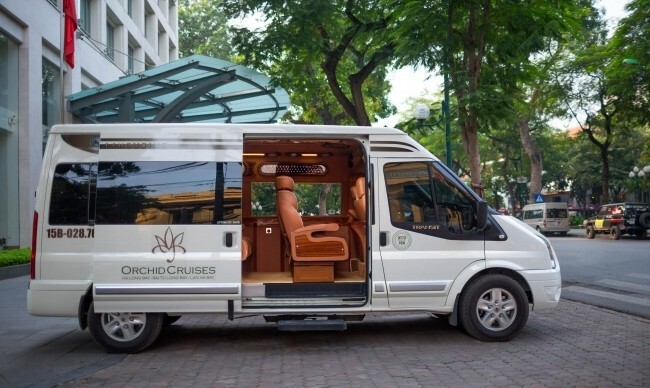 Departing from Hanoi every morning. 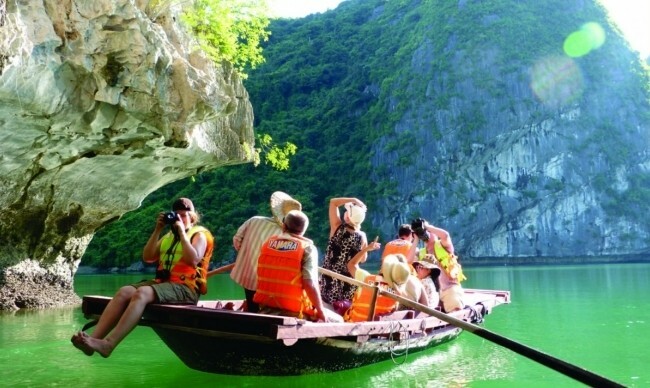 It takes you about 1.5 hours to Dinh Vu port - Hai Phong.